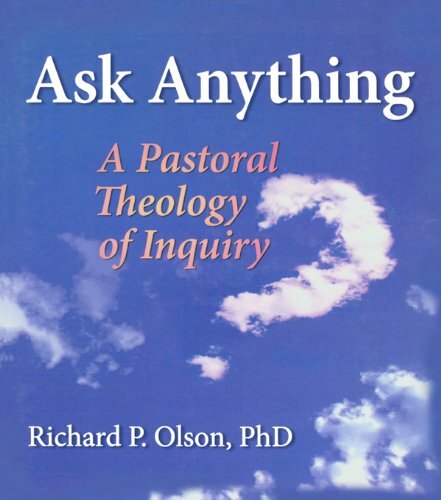 Ask Anything: A Pastoral Theology of Inquiry (Haworth Series in Chaplaincy) de Richard L Dayringer está disponible para descargar en formato PDF y EPUB. Aquí puedes acceder a millones de libros. Todos los libros disponibles para leer en línea y descargar sin necesidad de pagar más. The search for answers remains a valuable catalyst for the growth of personal faith. Ask Anything: A Pastoral Theology of Inquiry provides a fresh approach to answering questions of personal growth, facing problems, and building community. The questions most asked of today’s pastors and pastoral counselors are answered by integrating psychological with biblical/Christian perspectives. Jesus’ own questions from scripture are presented as a response to those difficult questions, sparking a self-reflective personal dialogue that illuminates as well as inspires. As each of us journeys through life, urgent questions arise even for the most faithful. Each chapter of Ask Anything: A Pastoral Theology of Inquiry takes parishioners' most-asked questions about the basic issues of life, death, and faith, and connects them with Jesus' questions from scripture, allowing a new depth of introspection and thought. These questions open a free flow of ideas that refreshes personal perspectives and leads to a spiritual resolution for the issue at hand. Jesus' teachings spring to life through the questions from the gospels and the probing thoughts of contemporary authors and scholars, stimulating a productive inner dialogue and positive direction for reflection. Each chapter is carefully referenced and includes helpful exercises and questions for group discussion, counseling conversations, or personal contemplation. Appendixes are included with complete listings of Jesus' questions from the gospels as well as a complete bibliography to facilitate further research. Where do I find meaning in life? What can I do to protect my children? How can I know which leaders to trust? What can I do about my battle with depression? What can I do about my burnout and fatigue? What happens when I pray? Why is my prayer unanswered? What can I do about the pain of grief? Ask Anything: A Pastoral Theology of Inquiry is inspiring, eye-opening reading perfect for pastoral and other Christian counselors, ministers with responsibility for preaching, and any layperson hoping to gather greater insight into Jesus’ personal answers to their own questions.